1. Place tortillas on a work surface. Spoon 1/4 cup yogurt down the center of each and top with 1/4 fruit salad. 2. Roll up and place onto serving plates. 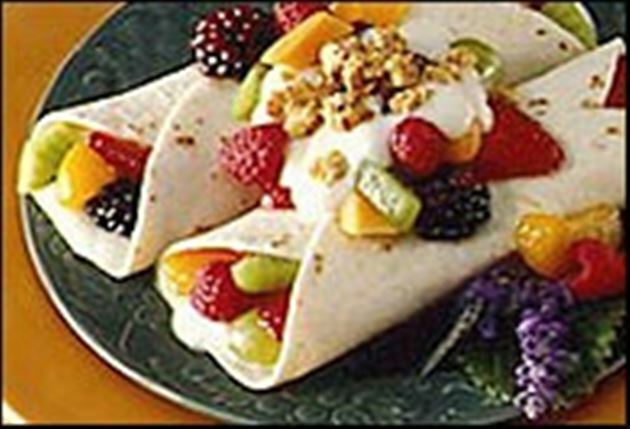 Top each with remaining fruit and a dollop of yogurt. Sprinkle with granola and serve. Enjoy this delicious fruity yogurt crepes Mexican food recipe!